One could say that the hills were alive with the sounds of miniature railroads, and it would be true. 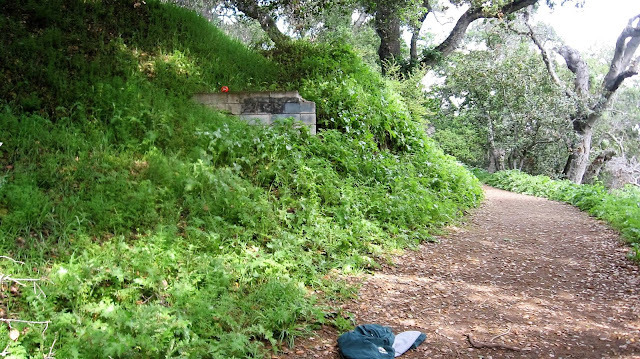 In the hills above Los Gatos between the town and Almaden Valley, Ralph Morrell Heintz built a quite small 7.5-inch gauge railroad on his private hillside estate. The property on which the Heintz family built their ranch was originally owned in the early 1900s by James Augustus Bacigalupi, first president of the Bank of Italy and a founder of the Bank of America. Somewhere on the property, a large mansion was built, and for decades the property was simply known to locals as "The Mansion". It burned down in 1965 and the property was mostly abandoned by the time Ralph and Sophie Heintz purchased a portion of it, mostly likely in the 1950s. Ralph was a chemical and physical engineer and inventor, cited as having over 200 patents to his name including four inventions that are currently at the Smithsonian. His wife was a U.S. Marine Corps ham radio operator who ran the radios for the Wilkins Expedition to the North Pole in 1928 and the Byrd Expedition to the South Pole, while also serving in World War II. After moving to Blossom Hill Road, they operated an apricot orchard and Ralph continued to invent in his small workshop. Most of the rest of the property remained undeveloped, a playground for the wealthy but little else. The Heintz family owned the property as a recreational site but spent most of their time in Los Altos. At some point, probably in 1962 (the date the tunnel was completed), Ralph got the idea to build a small miniature railroad on the hilltop above his property. He probably operated it as a family project as his son was a member of the Golden Gate Live Steam Club for many years. The site of the railroad was remote, which was a good and bad thing in the end. Ralph was friends with Billy Jones, and this relationship may explain his desire to build his own railroad. The route itself was approximately 0.35 miles long, which included a loop on the east end and a turntable at the west end. An engine and stock barn was kept beside the turntable. More impressively was the short tunnel that Heintz had installed mid-way down the track, the remains of which are still visible today, although one portal has entirely been buried. The surviving tunnel portal is eight feet wide and was probably 6 feet tall, and it extended through the hillside for 150 feet. Heintz personally constructed the locomotive and rolling stock himself, probably using castings and plans from Little Engines Atlantic. The railroad probably only operated for two decades or less. Ralph fell terminally ill in the early 1970s but only passed in 1980. 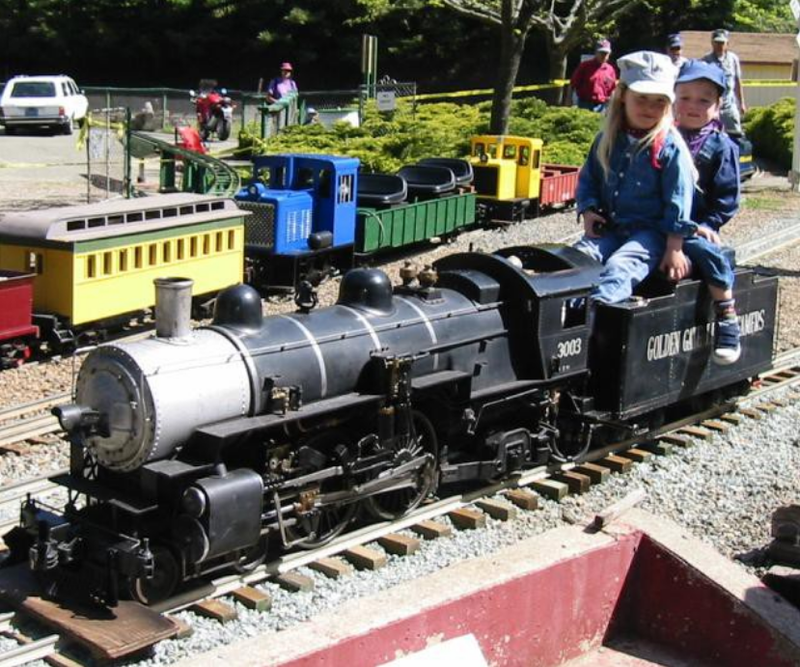 In 1975, his son Ralph Heintz Jr. donated 4,000 feet of track to the Tilden Open Space in Berkeley, which eventually became the Golden Gate Live Steamers. There is still a section of track there known as the Heintz Loop. This track was undoubtedly the entirety of the trackage owned by the Heintz family and it seems likely that the entire route was scrapped at this time. It is speculated that the rolling stock was also given to Tilden, although evidence of this transfer is currently lacking. 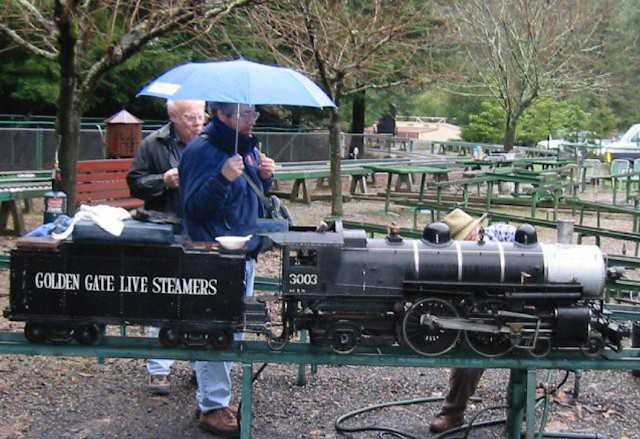 The locomotive for Heintz's railroad was sold in the mid-2000s to a member of GGLS and is currently undergoing a rebuild and will be repainted blue when it is completed. Locals who grew up near the property remember that the tunnel remained open for a short time but was eventually filled and buried, as it remains today. Indeed, the entire property was largely abandoned in the 1970s and locals regularly trespassed to use the old mansion swimming pool, walk the trails, ride four-wheelers, and use the tunnel in various ways. Angel Ayala, the property caretaker and gardener, continued to live on the estate for many years in the so-called Summerhill House which was mid-way up the hillside. In 1998, Ralph Jr. deeded the property to the University of California's Cecilia Vaughn Memorial Fund for ophthalmic research. It was resold and subdivided to Summerhill Homes which built the Heritage Grove Neighborhood community on the site. The majority of the 91 acres (about 80 of it), however, was given to the Town of Los Gatos where it now operates as the Heintz Open Space Preserve. The former railroad right-of-way is a walking trail within this area called the Valley View Trail, although only the portion at the top of the grade is the actual right-of-way. At the base of the hill, the Heintz farmhouse has been restored and is now a home, while his workshop—the so-called Ramohs Laboratory—remains a place of historical interest with appropriate signage. The Heintz Open Space is publicly accessible via Regent Drive off of Blossom Hill Road. The Valley View Trail (at left from the trailhead) is relatively steeps but short and at the top of the grade, it is flat for some distance. This flat area is the right-of-way and along it, you will notice the top of the former railroad tunnel which is now collapsed and mostly buried. The Heintz farmhouse is located on Regent Drive at the end of Ramohs Way. Maiten, Michael S. Personal correspondence. Phelps, Dale B. Personal correspondence. Pope-Handy, Mary. "The Heritage Grove Neighborhood in Los Gatos and the Heintz Open Space Preserve". The Valley of Hearts Delight. 2011. "The 1981 Heintz Lecture". The Proctor Bulletin, 3:4 (1981). Wiley, Neil. "Heintz Open Space". Mountain Network News. Another amazing little piece of history. Good job Derek. It seems you have the amazing talent of locating even the smallest railroad in these parts. Coincidently, around 1974, my friends and I used to skateboard in their empty pool. We did see the old turntable and the tracks were still there. Never saw the train. Maybe it was locked up somewhere. It was really strange to find a house with broken windows, on some expensive land with a valley view, an empty swimming pool and a small train, totally forgotten, empty and uninhabited. I wouldn’t call it a mansion though, it seemed like a regular home at the time. The story at that time was that Heinz, the ketchup mogul used to live there. I guess someone got their Heinzes mixed up. My friend lived on Sky Lane, off of Shannon Rd. so we accessed the amenities from the backside of the Heintz land with our dirtbikes.